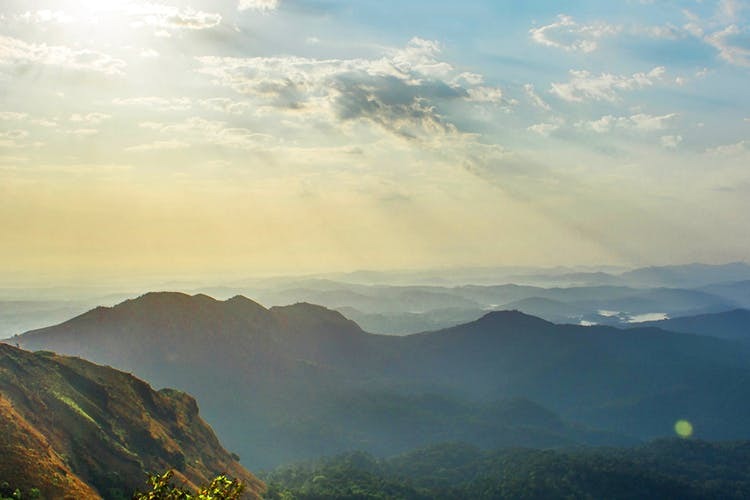 Lesser known than Malnad’s other gems — Sakleshpur and Kodagu — Shimoga is an undiscovered utopia. Waterfalls, wildlife sanctuaries, and trekking trails through the gorgeous Western Ghats welcome you here. Sitting pretty amidst the lush Western Ghats, Shimoga district is undoubtedly one of Karnataka’s most picturesque locales. Known as the Gateway of Malnad, Shimoga is far less popular with tourists when compared to other districts in the region. Which is a shame because Shimoga is a treasure trove for nature lovers (it’s also very rich in history but that we’ll leave for another recommendation). Since the district hasn’t developed enough to accommodate endless tourists (yet), we recommend you set up base in Shimoga city. Your first step should obviously the district’s pride — Jog Falls. Out in full force after a bountiful monsoon (which this year has been), the four cascades that make up Jog Falls make for a thrilling sight. Of course, this isn’t the only fascinating waterfall worth your time here. There’s also Kunchikal which is India’s highest waterfall (second in Asia, FYI) and Dabbe Falls, that leads you deep into dense forests. If you are looking for picnic spots, the Gajanur and Linganamakki Dams are ideal. A biodiversity hotspot, Shimoga is dotted with plenty of wildlife sanctuaries. If this is a fam jam, head to the Sakrebailu Elephant Camp, where you can interact with elephants and even feed them. But if you want to encounter the wild and the free, the Shettihalli Wildlife Sanctuary and the sanctuaries at Sharavathi Valley along with Bhadra are excellent picks. Gaurs, tigers, deer, sloth bear and other fascinating species call these sanctuaries home. But if you want to concentrate on the winged beauties, visits to the Gudavi Bird Sanctuary and Mandagadde Bird Sanctuary will make you very happy. For those of you looking to add a slice of adventure to your getaway, the Kodachadri Peak, one of the highest peaks in Karnataka, poses a challenge for trekkers. You can also sign up for a coracle rides and a camping experience at Honnemaradu.